Possibly pics at upwind sails should be taken in the proper range of the sail code. Pics should be taken only with the proper trim and mast setup. Pics from below should be taken with the camera as low as possible, in the middle of foot (on 4T FORTE™ sails there is a mark) and close to the line joining clew and tack. 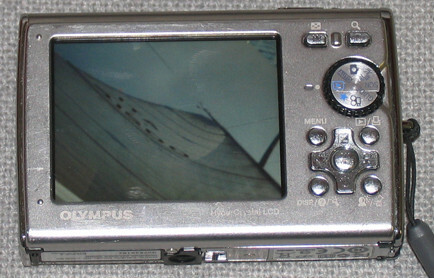 It is suggested the use of camera’s lens not wider than 28mm and not narrower than 35mm. If possible, especially on onedesign, in very useful to mark on deck the camera position to give anyone the possibility to take proper shots. Shots not using diagonal (above right) or not positioning properly the corners (above left sample) are impossible to properly measure. on pics properly taken, is very useful to mark (possibly on the image) all datas related at the sail and the shot conditions (see samples). A quick way to remember datas is to take pics of electronic displays. 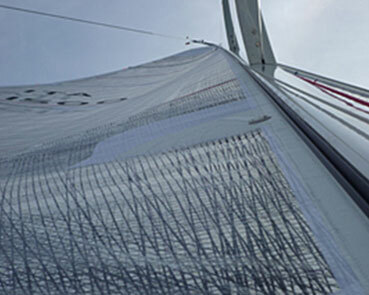 Is often useful to take also a video from the same position to see also the kind of movement the sail is doing. To have a complete report is useful to take also pics of: Mast (A) with max bend to see the type of curve, Jib clew (B) to see the sheeting angle and trim, Sail corners (C) to evaluate geometries and finishing. In case of defects, wrinkles or problems, always take pics from different angle to show clearly the problem. Downwind sails are very difficult to snap, is usually more useful to take videos (20/30 sec) from 3 positions (see pics below) if from onboard. If from outboard the best is a video making a slow circle around the boat.